Home / Jennifer Gale, Psy.D. Dr. Jennifer Gale, received her Master of Science degree in Clinical Psychology from Loyola College in Maryland. There Jennifer Gale treated children with complex trauma at Johns Hopkins Bayview Medical Center before moving out west to pursue graduate studies in clinical psychology 1996. She earned her Doctor of Psychology degree from Pacific University. Jennifer Gale pre-and post-doctoral training emphasized clinical child psychology and pediatric neuropsychology. 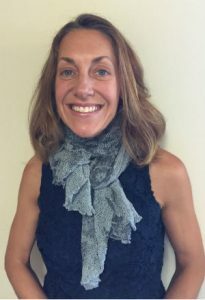 Jennifer Gale came to Utah in 1999 to complete an internship and later a fellowship in pediatric neuropsychology at Primary Children’s Medical Center. She completed a second post-doctoral fellowship in infant and child mental health at The Children’s Center in Salt Lake City. She opened her doors to private practice in 2003 and has continued to specialize in the evaluation of children and adolescents with developmental, medical, psychiatric, neurological, or cognitive/learning difference. She offers diagnostic assessment for Autism Spectrum Disorders; evaluation of learning disabilities including AD/HD and Dyslexia; and comprehensive assessment of children with suspected or known neurodevelopmental disabilities. Dr. Gale’s approach to assessment is individualized to include the use of carefully selected standardized measures to understand a child’s neurocognitive and neurobehavioral strengths and deficits as needed to guide educational, therapeutic and home-based intervention. Dr. Gale works with individuals from birth to age sixteen. When not at the office, you can often find Jennifer Gale spending time in the great outdoors. She is an avid trail runner, backcountry snow boarder, and overall outdoor recreation enthusiast. She enjoys vegetarian cooking and traveling abroad. A Park City resident since 2002, she and her husband, Dr. Max Gale, are grateful every day for the opportunity to be raising their two spirited young sons in this amazing state. Gale & Associates, Center for Assessment and Psychotherapy was co-founded by Doctors Max Gale and Jennifer Gale in 2008. This private practice in Park City, Utah offers a range of specialized neuropsychological and psychological assessment and therapy services, ranging from learning disability assessment to individual and couples therapy.